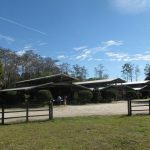 Palm Beach Dharma Center – A place for spiritual rejuvenation – a sanctuary where outer peace and harmony foster inner healing and tranquility. 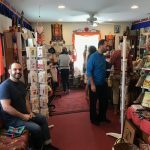 We are an international community of Tibetan Buddhist practitioners, learning to be our kindest and most compassionate selves with the guidance of Ven. Khenpo Tsewang Dongyal Rinpoche, a Tibetan Buddhist master, scholar, and poet. Our roots reach back over a thousand years, to Guru Padmasambhava’s establishment of Buddhism in Tibet. Our founders, Ven. Khenchen Palden Sherab Rinpoche and Ven. Khenpo Tsewang Dongyal Rinpoche and their father, Lama Chimed Namgyal, brought this tradition out of Tibet in the 1960s. Together, they worked to preserve the richness of Vajrayana Buddhism, first in India and later in America. They founded Padmasambhava Buddhist Center in the middle 1980s to preserve and spread the teachings of the Buddha in general, and especially the Nyingma School of Vajrayana (Tibetan) Buddhism and the lineage of Tsasum Lingpa. Over the past thirty years, PBC has spread across the country from Puerto Rico to Oregon and is now an international non-profit which includes over 20 centers. Since Ven. Khenchen Palden Sherab Rinpoche passed in 2010, Khenpo Tsewang Dongyal Rinpoche has served as the spiritual director of our community. 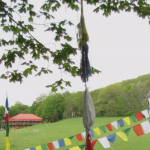 When he is not traveling to visit our various centers he spends summers at Padma Samye Ling monastery the retreat center in the Catskill Mountains of New York. 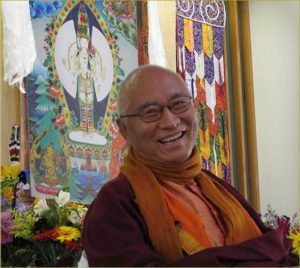 To our great delight, Rinpoche spends most of the winters here in Palm Beach County, teaching, leading our annual Winter Dzogchen Retreat, and being remarkably available to his students. At PBDC scheduled practices, discussion groups, and other activities are open to everyone. Membership is also available. 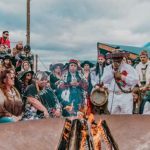 We hope that you will explore our website, learn more about us, and join us for meditation, practice, or discussion. We look forward to meeting you.